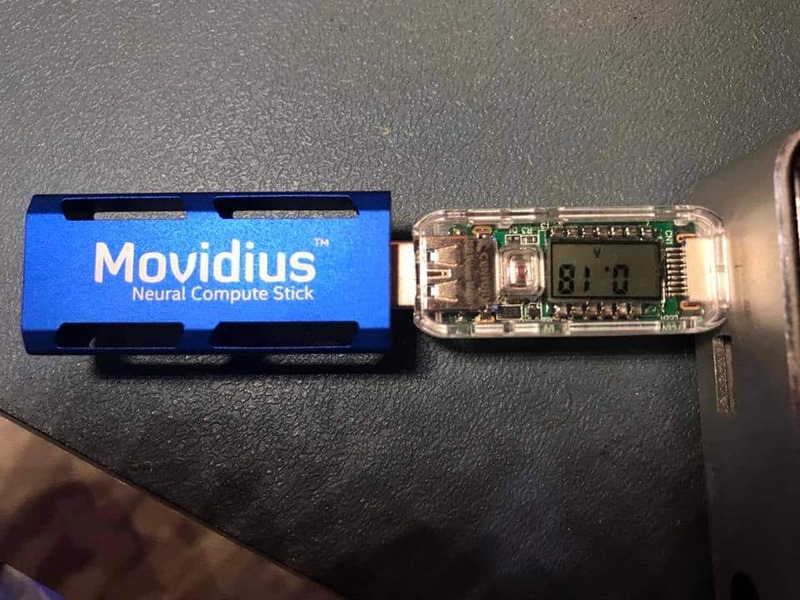 Today I have received neural network inference hardware accelerator Movidius Neural Compute Stick (USB stick). Movidius is now part of Intel (acquired by Intel in 2016). SDK installation is smooth under Ubuntu 16.04. The SDK also contains script to fetch caffe-models from the internet. The following models are available by default: Age, AlexNet, Gender, GoogLeNet, SqueezeNet. I have compiled examples written in C (located in ncapi/c_examples/ folder) and did some checks. All interactions with hardware are made at user-level using libusb (looks like libmvnc.so built on top of libusb) and doesn’t require any kernel-level drivers. 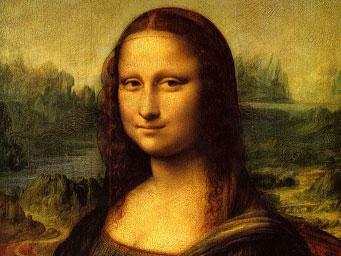 As we can see Mona Lisa’s gender is accurately detected (99.51% Female). The detection took about 26 seconds, 100 times. This means that we have achieved about 4 fps (frames per seconds) using hardware acceleration. “Gender” caffemodel and mona-lisa.jpg can be downloaded here. I was able to control power consumption during this test and the average current was 0.18Amps. On 5V USB this gives us 5*0.18 = 0.9Watts. This means that we can achieve 4/0.9 = 4.4 fps per watt. To be more explicit, a battery with the same specs as an iphone7 (11Wh) can power this device for about 12 hours. These are good results for mobile and autonomous use-cases. Like the Joker Walker. By the way, with the Joker main module (with Intel’s x5-z8500), using the same task (image classification), I have achieved 2 fps with power consumption of about 5W. Therefore this is equivalent to 0.4 fps per watt. 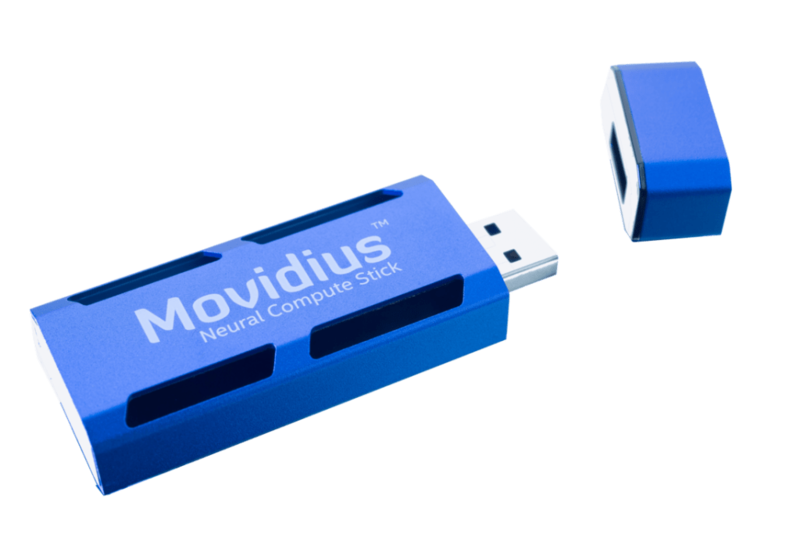 This result is 11 times worse when compared to Movidius Neural Compute Stick. And a great feature is that we off-loaded the neural network tasks to “co-processor” and left the main CPU power for other important tasks. Power consumption in suspend state is about 0.07 Amps (70 mA). This value is higher than defined in USB spec (should be less than 2.5 mA). This may cause higher battery drainage rates in mobile applications. Additionally for a bonus, the disassembled photo can be seen below. 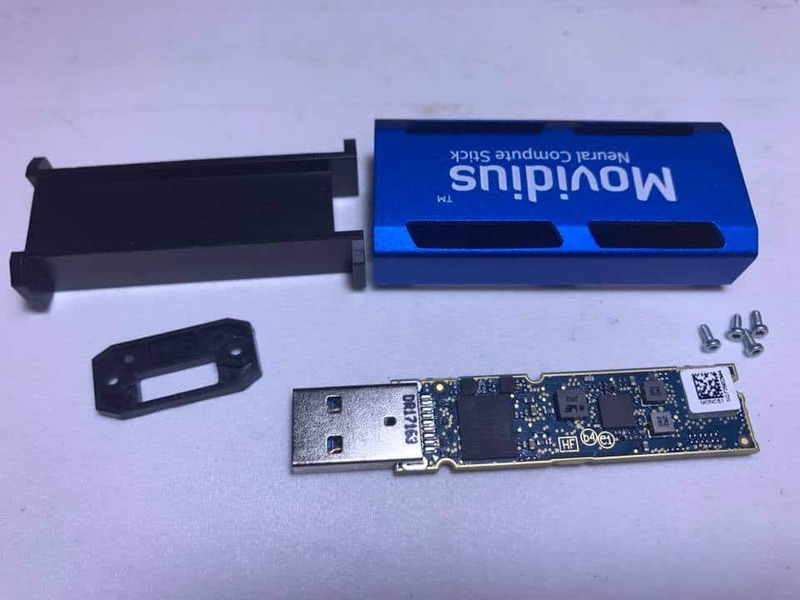 This device (chipset) looks very promising for Joker Eco-System use-cases. I will do more experiments and trials. Thanks for the teardown picture – good to see before I get the Dremel on mine. It baffles me why Intel chose to make such an enormous enclosure without any obvious heatsinking benefits (the sides aren’t connected to the centre via fins, for example). Copyright 2019 © Joker Systems Inc.